Peoples Conference Senior Vice President and former Minister Abdul Gani Vakil on Monday urged the people of Jammu and Kashmir to realise the power of their votes and caste them in favour of change. Vakil said that Peoples’ Conference Candidate is a voice emerging from the grassroots who wants to genuinely shoulder the responsibility to eradicate the dynasty rule and corruption which has hollowed the special status and identity of the State. While addressing the electoral meetings in Chatusa, Tangmula, Dalri, Dhekan and Fadapura, Vakil reiterated that decades of dynasty rule led to widespread corruption and fraudulence in the state. “The CBI filed a charge sheet against NC President Farooq Abdullah in a multi crore cricket scam. How can a party end corruption while its own president is involved in corruption?” he questioned. 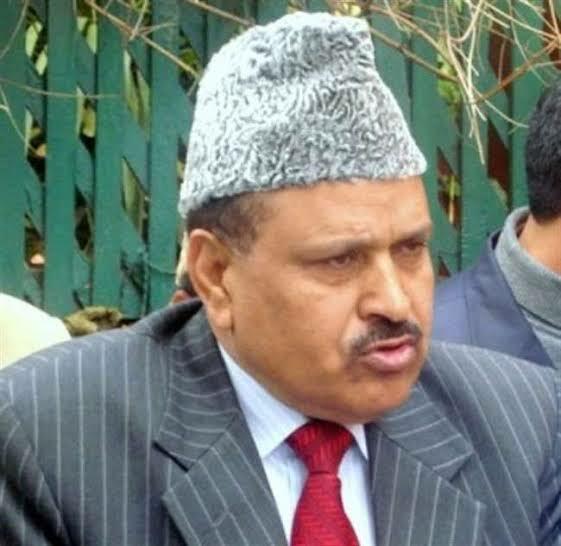 The Peoples’ Conference candidate Raja Aijaz Ali assured the people that if he wins the election, he will leave no stone unturned and will go to any extent to protect the Article 370, even though National Conference and PDP leaderships have spared no efforts in undermining and eroding it. He further said PC will fight against those trying to hollow the special identity of Jammu and Kashmir. Senior leader of the party Khurshid Ahmad Khan also acknowledged these facts and addressed the grievances of the common man of the Valley. Previous articleKathua Police tells group admins to register their WhatsApp groups at police station. Next articleNorthern army commander reviews security in Kashmir.